The Irish Minister for Jobs, Enterprise and Innovation, Mary Mitchell O’Connor TD, has announced the appointment of Dr Orlaigh Quinn as Secretary General of the Department of Jobs, Enterprise and Innovation. Dr Quinn, who holds a Doctorate in Governance (DGov) from Queen’s (2006), has Bachelor’s and Master’s degrees from the Institute of Public Administration, is a former Visiting Research Fellow at Trinity College Dublin and the author of two books on public policy topics. 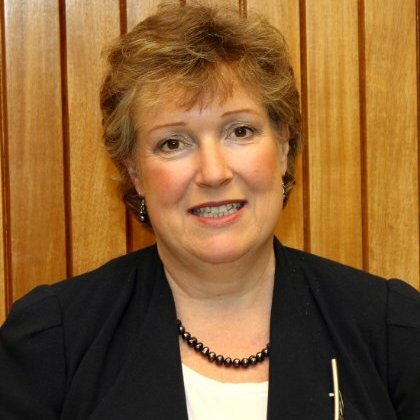 Currently Assistant Secretary in the Department of Public Expenditure and Reform, Dr Quinn is also Programme Director for Public Service Reform & Delivery – which includes the Civil Service Renewal Plan and Government Reform. She has previously held roles in the Department of Social Protection as HR Director and Head of National Pensions Policy and the delivery of state pensions. She also was responsible for EU/International Affairs and Information Services, and has worked for the European Commission in Brussels as an expert on employment and social policy, and a number of other Government Departments, including the Central Statistics Office and the Department of Arts, Culture and the Gaeltacht. Dr Quinn is also a member of several Irish boards, including the Pensions Authority, the EU Social Protection Committee, the Oversight Board of The Irish Longitudinal Study on Ageing (TILDA) and the Social Sciences Committee of the Royal Irish Academy. Making the announcement, Minister Mitchell O’Connor said: “Since arriving in this Department I have noted the ability and commitment of the team both in the Department and within the agencies under my remit. “I am delighted that the Government has appointed Dr Orlaigh Quinn to lead this team at this very important time. I am happy to have a candidate with the skills and experience to lead this Department in pursuing the ambitious goals that I am putting in place. “I would like to wish Orlaigh the very best in filling this role”. Dr Quinn takes up her new appointment on Monday 3rd October. General media inquiries to Gerry Power, Communications Officer, Development and Alumni Relations Office, Queen’s University Belfast, tel: +44 (0)28 9097 5321.